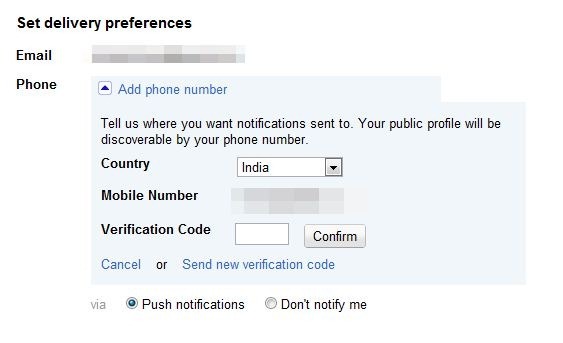 Here is a feature that Google+ users from India will find very useful. 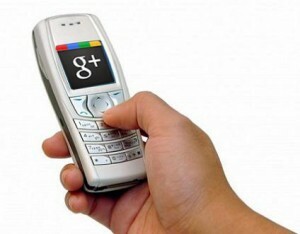 Users of Google+ can post updates using nothing more than SMS. Currently the feature is available only in India and it allows for a surprising level of control over who can see the posts. To update through SMS, you have to associate your number with Google+ first. To do that, go to https://plus.google.com/settings/plus and add your number. After you have added your phone number, Google will text you a verification code to the number you have provided. Enter the verification code in the settings page. You can also set up a PIN for added security. @[name of circle] – Appending this will make your update visible to only a particular circle. For example “who are coming to the party? @friends” will make the update visible to only your circle named friend. @extended – Appending this will make the update visible to your extended circle. @public – Appending this will make your update visible to all and it will also appear in search results. @[email address] - Append this to share the update with only that person. Google itself does not charge anything for this service but your carrier will charge the normal rate for texts. Right now Google is offering this service only in India. It makes a lot of sense to offer such service in India. According to some reports, cell phone penetration right now is around 70% and that is expected to go up to 97% by 2014. In terms of pure number, India already has the second largest number of cell phone users. However, only a very small percentage of this are smartphone users. So, it makes sense from Google’s point of view to make Google+ available through SMS as well. Earlier this year, Facebook too tried to tap into this market by making “Voice Status” updates available in collaboration with an Indian carrier. Digitizor also provides SMS alerts of our latest stories to our Indian readers. If you are in India, you might want to check it out.